Paul Mullen of Measurability Ireland has supplied us with some CV examples for whatever career stage you are at. Less is more: Keep your CV layout simple. Ensure you create a good balance of white space and text. Use clear titles and content, rather than fancy fonts and graphics. Create an impactful first page: The first page of a CV must grab the reader’s attention. You have 20 seconds to catch the eye!! Ensure all key information is located on the first page of your CV. Information on the second page probably won’t get read. Targeted content: Review the job description and edit your CV accordingly. Targeted content will improve your job application to job interview ratio. Think sales: Identify key achievements to include in your CV content. Highlight key results, how you’ve added value, key deliverable and any significant projects. This impactful content will help your CV stand out. Short & sweet: Write short and punchy statements. Keep the length of your CV in check. A CV should be no longer than 2 pages. Avoid repetition of content and waffle. First-person pronoun: Avoid first person pronoun. Instead of writing: I managed a team of four staff. Write this: Managed four staff. 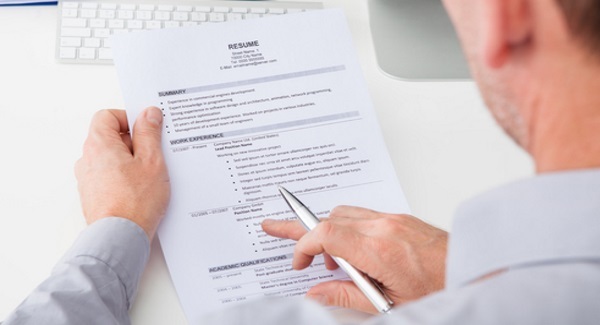 Bullet points: Bullet points make it easier to navigate your CV. This helps the reader digest more of your impactful content, which increases your chances of getting selected for interview. Keep it simple: Don’t overcomplicate things. Use plain English. Include buzzwords, as some CV sifting is completed by automated software. Identify and mirror language used in the job description. Action verbs: Action words will help you create more impactful statement. Some examples include: increased, transformed, managed, implemented, directed and organised. Maintain Consistency: You must maintain consistency throughout your CV. This includes the language used, font styles and CV formatting.